Often times very brilliant students can get mediocre scores. For instance, the Science section has nothing to do with actual science knowledge—it is chart reading ability, a learned skill! So they shouldn't stress about it. Look at the scores for each section, and determine if one of them could have been a fluke. For instance, if your child did well on past English practice sections, and not so hot on the real deal, there could have been some confounding factors in the score. Consider this—since English is first, perhaps (s)he wasn’t totally awake yet, and bombed the beginning. Or maybe your child was really hungry during the Reading section, and couldn’t focus at all. Have them try to think back—there may be a reason outside of ability for the low score. If your child just got their ACT results back, figure out when the next test will be. Registration is often very early, so they’ll have to determine pretty quickly whether or not they want to take the test again. You should begin talking with your child on what steps to take in preparing for the next test. Determine a realistic goal. Let’s say your child’s score was a 24. Wanting to get a 34 on the next try, while ambitious isn’t all that practical. Try aiming for three to four point boosts on each subsequent retest (be it practice or the actual exam). Also, if they got a 30 in Science but a 20 in Math, it will be much easier to boost a score from 20 than it will from 30 because of how ACT scoring works. Figure out what is the best strategy for your child. Every test taker is different—I for one flourish with a bowl of cereal, a cup of coffee (black), and a ton of nervous anxiety. But they may not be ideal for your child (particularly the coffee part). 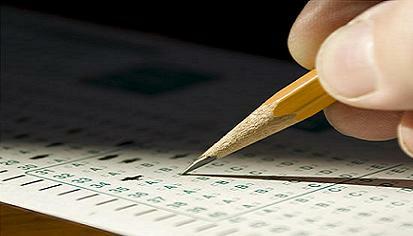 When they are ready, have your child take a practice test, but have them take it very slowly. Also, for each question, have them write a justification on why they chose certain answers and didn’t choose others (particularly for English, Science, and Reading). Tell them to make sure to show all their work for Math. If they are unable to show work, justify answers, or correctly answer the question, then obviously this is a concept they need to spend more time on. Also, in the answer key in the back of the booklet, it will specify what type of question each question is (for instance, Math has Pre-Algebra, Geometry, Trigonometry and more). This allows for specific targeting of pain points. Check out this link for more information on each section's content breakdown. Once the pain points are discovered, attack!! Our tutors at Chicago Academic can help greatly at this point. They are battle-worn test takers with great degrees from prestigious institutions who are ready to help your child show the ACT who’s boss. Our SCORES system and ACT test prep achieve results.